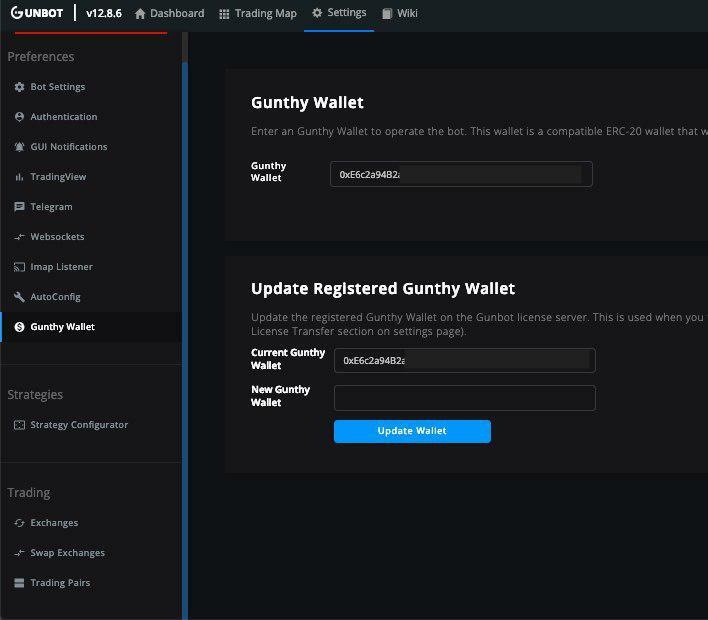 1- Go to “Gunthy Wallet” and put your Gunthy wallet. Now, save changes. (If you don’t have a Gunthy wallet yet, click here to find out how to create it). 2- Go to “Swap Exchanges”. Here you will see a message stating what kind of Gunbot license do you have (Standard, Pro, Ultimate…) and you will see, at least, 1 Api key added. In the case this info is not being shown, try reloading the page again until the info is shown. 3- Now you will see, at least, one API in the first slot. Ok now you can add more apis in the other slots (note that the number of slots depends on the license you have). After adding a new exchange, remember to save the changes. Once you add a new exchange, that Api will be the Master Key for that exchange. 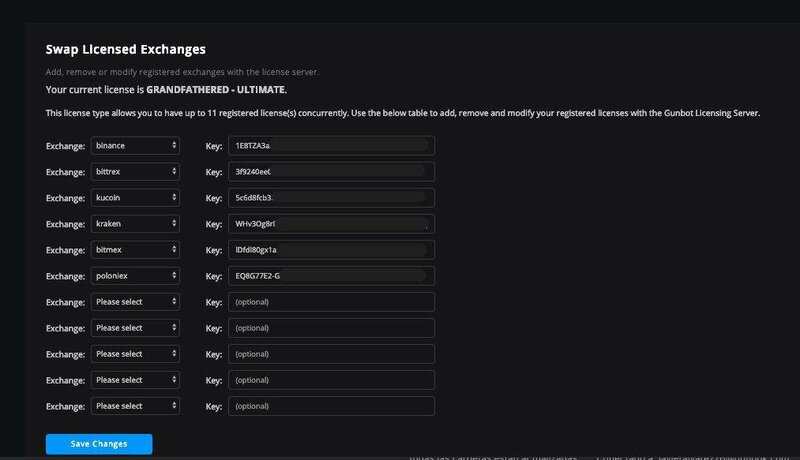 4- Now you just need to click on “Exchanges” and you can put your Api key and secret for each exchange you want to use. Obviously, before doing this, you need to follow the 3 steps above in order to activate the Apis for the exchanges you want to trade on. This way you will be able to easily add and edit exchanges yourself.